Upon the death of her husband, Henry J. King (1825-1879) who held the postmaster position for the Troublesome Post Office, Albina Holly King was appointed to the position in 1879 and held the position for 27th years. While it was said that she was the first woman Postmaster in the U.S., Postal records show that there were female postmasters back to the time of the Revolution. Albina's daughter, Eva King Becker, also held the postal position and was listed as the Troublesome Postmaster in 1904, shortly before its closing. 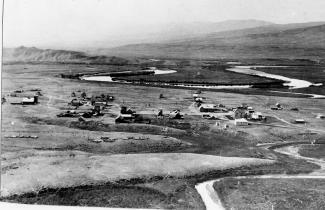 The original King homestead and post office is located behind the Welton Bumgarner home at the mouth of the Troublesome River. 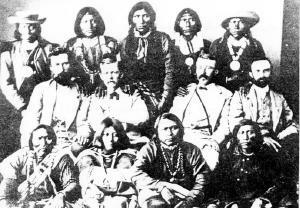 Henry and Albina came to Colorado from Ohio first settling in Empire, Colorado in about 1859-1860. 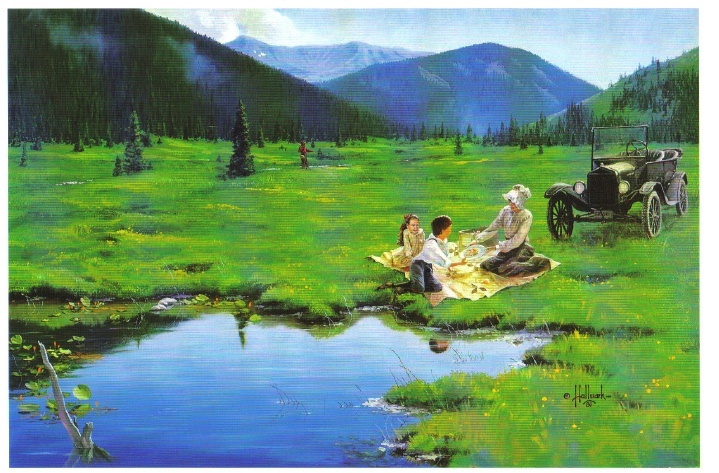 Sometime after 1870, Henry arrived in Middle Park with Albina and their children arriving by the end of 1874. The Kings had five children; two sons Clifton G., Clinton A. 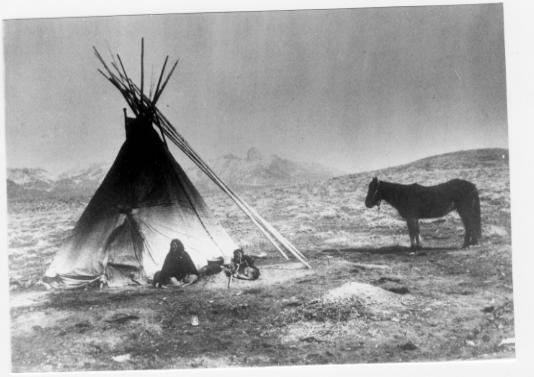 (1852-1919) and three daughters, Aoela J. (born May 10, 1853 in Ohio and died September 28, 1858 in Michigan), Eva Marie and Minnie A. Both Henry and Albina were tailors by profession, however, their homestead became a trading post and lodging quarters for travelers. 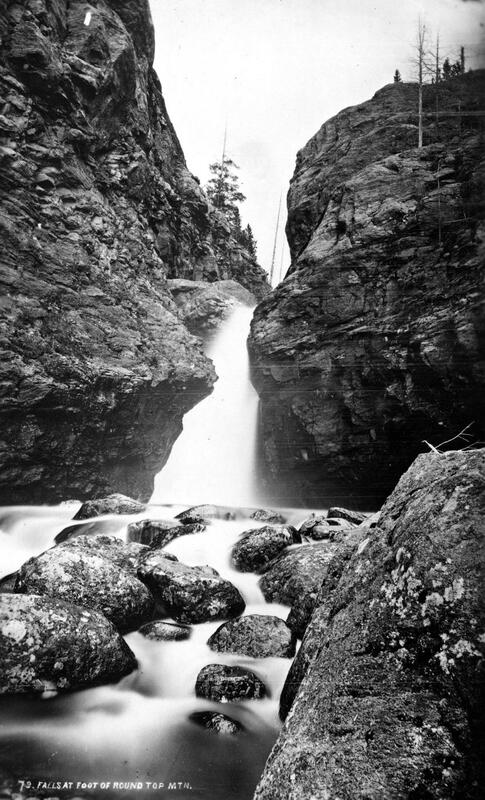 Water rights were important issues in the early Middle Park days, just as they are today. In 1882, Albina King became the first person to have claimed water. Tom Ennis claimed his water rights just 13 months later and claimed twice the amount as Albina. There were battles over their water rigts, but Albina held her own. After retiring from the post office, Albina moved to Garfield County Colorado and lived with her son Clifton and his wife Lou (per 1910 census). By the 1920 census, she is living in Oakland, California with a granddaughter until her death in 1923 at the age of 98. Records indicate that Albina was creamated and her ashes supplied to the family, and possibly scattered at her beloved Troublesome wilderness. 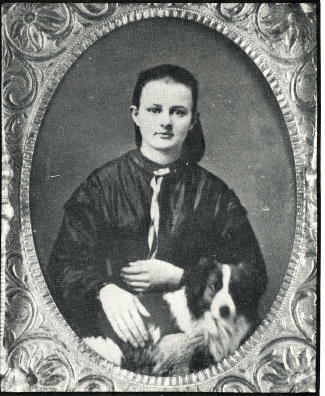 Anna Bemrose Fetters Dietrich married Jacob Dietrich in 1899 after the death of her husband John Fetters who had a neighboring ranch. Anna had six children; Jake, Lula and Winnie Fetters and Albert, Bertha and Horace Dietrich. 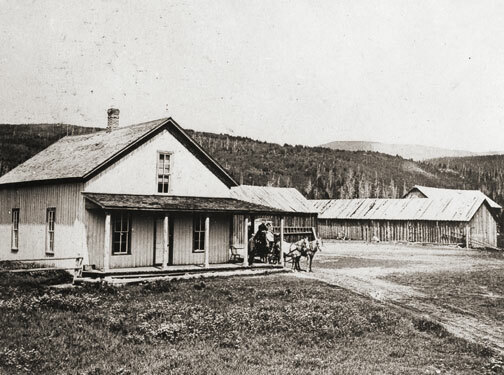 Upon the death of Jacob Dietrich in 1910, Anna stayed on the ranch determined to build up a great cattle herd and educate her children who attended the Muddy School. In the 1920's, financial problems resulted in the loss of the cattle. However, in 1926 the "indomitable Anna" started over again, this time with sheep which roamed the ranch for 10 years. 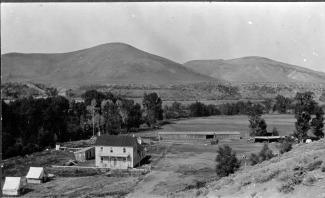 In 1935, Anna was forced to give up personal management of the ranch due to ill health. The Dietrich ranch was known as the "Lighthouse" for cattle roundups and Anna also hosted many parties and all-night dances for neighbors from near and far. Anna was quoted in the Times in 1939, " As on the big roundups, stopping places were scarce, my home was known by both the Middle Parkers and North Parkers." The last big roundup was in 1915 with a big Thanksgiving celebration a week late due to cattle gatherings. People stayed overnight in the bunkhouse and barn after lots of music and dancing entertainment. So ended a never-to-be forgotten roundup of the cowboys on the range! 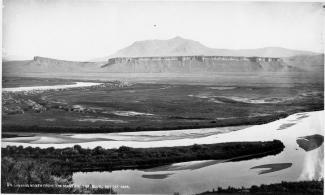 The range was then fenced by individual landowners bringing to an end the traditional roundups in the area. Betty Cramner, a longtime Granby resident, says she doesn't like to be in the spotlight. Her modest home with brown siding and roof, tucked into a hill behind a stately spruce tree, reflects nothing of her and her family's past. Betty's story - full of heartache and triumph - deserves recognition. She is a World War II veteran, a cancer-survivor, and the mother of five children (her sixth son, Forrest, died when he was 33.) She is the wife of the late Chappell Cramner, whose father, George Cramner, is the Cramner the ski run at Winter Park Resort is named after. At 86 years old, Betty has lived a fuller life than many - and she shows no signs of slowing down. She was born in England on Aug. 29, 1921. When she was 18, she joined the Women's Royal Air Force and was stationed at a burn and plastic surgery hospital, later named Queen Victoria Cottage Hospital. Deep down, she had wanted to be stationed at a fighter station instead - closer to "where the action was" - because she had just lost her first love, an Australian man, who was shot down by enemy fire. "My job was to clean up burns, which were very bad," Betty said. "A lot of them didn't have eyelids, or their noses were burned off." Betty was fascinated by the way the doctors would build up the soldier's faces by skin grafting, she said. "It was very interesting, once you get over the smell of burns, and get into the feeling you're doing a service for those people," she said. Betty served at the hospital for four-and-a-half years. Her home was in a small town in Sussex, 30 miles from the south coast of England. The town was sometimes known as "bomb alley" during the war. Because of the town's proximity to London, German planes would often drop their bombs on her town on their way to London, she said. 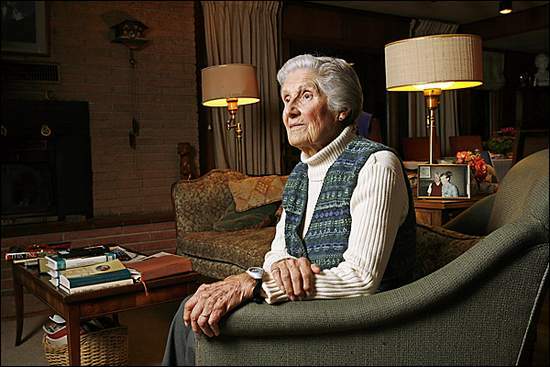 She recalled pilotless planes - "big bombs with wings, nothing else" - and running for cover, although there wasn't any. She recalled the Battle of Britain, and how the sky was "almost black" with hundreds of German planes. One night, as she was working at the hospital, a young pilot from Denver was brought in. He was a member of the Canadian Air Force who had crashed in the North Sea, and spent 14 days on a dingey with no food or water. When he was finally found, semi-conscious, he was brought to a nearby hospital. "When they took his boots off, his toes came off, because they'd been immersed in water and cold for so long," Betty said. "So they sent him down to our hospital to see if we could do some grafting on his feet." After a year of treatment, however, there was nothing the hospital could do for the young pilot; to save his life, they amputated his legs, and he was forced to use a wheelchair. He and Betty struck up a friendship, and she would often take him to town where they'd visit the cinema or local pub. Eventually, they fell in love. One day after leaving the cinema early because Betty had to return to work, they were heading down a hill toward the hospital when a German plane flew over them. Both of them were in uniform. "I said, "My goodnesss!? There were no sirens, nothing ." The plane circled and opened fire. "I was so frightened, I let go of his (wheel)chair. Thankfully he grabbed the front wheels and was able to stop himself." Betty and the young man returned to the hospital safely, but the attack had brought in many casualties. Eighty people were killed and 250 were wounded. The cinema they attended was destroyed by a single bomb. Betty's eyes glaze over as she remembers how lucky they had been to survive that day. "I wasn't a believer ... I didn't know there was a God in those days, because when you're in a war, well ... But I think then, by the grace of God, we got out of that." Betty and the pilot were married in the mid-1940s, and had a daughter named Susan after the war ended. Although the war was over, life wasn't any easier, Betty said. "It's hard for people who were in the war in England to describe rationing to people in this country. ... We had two ounces of meat per week, per person. You could not buy anything in the shops at all without giving up coupons. Two ounces of butter, four ounces of sugar." Betty was pregnant with her second child when her husband died suddenly due to complications. Before his death, he told her to move to Denver where his father lived. It was 1946, and America offered a better life. Betty took Susan and all that they had and moved to Denver; she first set foot on American soil in May 1946, where she eventually had her second child, Holbrook. Two years later, she met Chappell Cramner, who was an investor at the time. They were married and had four children: Allen, Bruce, Genie and Forrest, and lived in Denver for 25 years. In 1969, her husband decided to move to Granby. "He attended seminary school and was ordained as a priest," Betty explained. "The Bishop said, ?I want you to move to Granby.' "Betty joined her husband one year later, and they bought a home she would continue to live in the next 37 years. Chappell, or "Chap," started a church in 1981 called St. Columba Chapel - later named Cramner Chapel - that is located behind the Silver Screen Cinema in downtown Winter Park. It is there to this day and is a vital part of the local community. Betty and her husband continued to visit England every two years to see her parents, but in 1994 she was diagnosed with cancer in her abdomen. Betty beat the cancer - despite a doctor's prognosis that she had three weeks to live - and would go on to fight and survive two more major bouts of cancer. Chap died in 2000, two years after Betty fought off colon cancer. She continues to travel, and has just returned from a trip to England and Spain with her son. As she sits in her couch chair, her white and gray hair framed by the sun peeking through her window, one can't help but be in awe of Betty Cramner. Her home is immaculate but cozy and inviting, and the rooms are filled with photographs of children and grandchildren. She loves living in Granby, she said, where everything is close by. "I'm very independent. I don't like driving in big blizzards and stuff like that, so I can walk to the library, the post office, the church every Sunday. ... So I like living here. I couldn't live in a big city anymore." Betty knows she has led an amazing life, but her humbleness is what makes her unique. As she rattles off her daily routine - snowshoeing, walking, swimming, attending four different Bible studies - she mentions she is a volunteer at Cold Springs, a local greenhouse just up the road. "I love flowers," she said, as she turns and faces her bay window full of geraniums and different types of plants. "Would you like one? I have plenty." William B. Chenoweth, age 87, died on January 17, 2005. Most people in Grand County wouldn't remember him, but he had a large impact on our life up here. The Chenoweth name was very familiar to Colorado residents, for Bill's father, J. Edgar of Trinidad, Colorado, served in Congress for 22 years, starting in 1940. For his part, after graduating from college, Bill worked at Boeing Aircraft in Seattle during the war, then returned to Denver where he worked in advertising. A fine artist, he used his skills in many ways. His ad agency, Fox and Chenoweth, had such well-known clients as Coors Brewery and the May-D&F department store. Bill was outgoing and friendly and he loved people. A moderate Republican, he was elected state representative in 1956 and then, state senator in 1961. He served our state well, for he was outspoken and stood by his views, but yet so moderate that his stances were worthwhile. This congenial man always could always relate an amusing story, to soften any situation. Bill and his wife Jean bought land and built a home up at the top of Winter Park Highlands in the late 1960's; here, a whole new phase of his life developed. Bill now ran for County Commissioner and Moffat Tunnel Commissioner. Chenoweth staunchly supported Grand County in his role as Tunnel Commissioner, for the Denver board members tended to want everything to align to their benefit. As it happened, Chenoweth became County Commissioner at a time when our county was rapidly turning away from a ranching economy and becoming focused on recreation. It was a difficult period for many of the old-time citizens, in particular, but Bill's leadership helped to effect the change, which, of course, is now the standard. 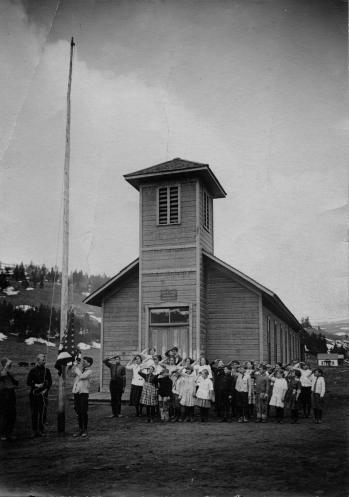 At this same time, Bill and fellow commissioner John Martling suggested that the Grand County Historical Association request block grants from the County Commissioners. GCHA was struggling with funding, as usual, but such grants had never been considered. Its board decided to try, and they were delighted when a moderate amount of money was allotted. This was a lifesaver. Over the years, these grants have increased and today the monies go primarily into salaries. Jean Chenoweth was on the Historical Association Board during these early years, and there was never a member who offered more energy and hard work, bright ideas, wit, and generosity. Bill's talent as a politician shone in his role as County Commissioner. He always said, "if you are going to be a politician, you need to like people and you need to remember names." At one particular County employee party one evening, he stood up to greet the 100 guests, naming each person by name, each spouse, and except for one child, every child's name! Amazing! He loved to talk to people, and many a time I heard Jean say, "Come on, Bill, we have to go." I don't know how many hours she stood twiddling her thumbs, waiting for him to finish some conversation, but it must have been many. Now, Bill looked rather like Fred Flintstone, and one amusing image I have (in my mind, and told to us by Jean) is of him going out to raise their flag on summer mornings, standing there, stark naked, saluting the flag at the top of the pole! Naturally, there wasn't a soul around. Bill was crazy about football and an avid CU Buffs fan. If one went to the house on a football day, he would find three TV's going, with three different games on at one time. The Chenoweth home was much like an art gallery, for Bill hung his fine paintings, mostly watercolors, in the hallways and other rooms. Visiting there was a special treat. He painted fabulous mountain pictures, one particular depiction of a mountain, delineated entirely by the planes of the rocks comprising the mountain. A favorite of mine showed a couple of ravens sitting on a fence bordering the deep snow-covered flats between Tabernash and Fraser. A cold scene indeed! In later years, Bill became fascinated with African wildlife and he took several trips to that continent, photographing every animal in sight, later translating the pictures into paintings. Bill also painted personalized cards for sick friends or for special occasions, and to send as Christmas cards, treasured by his many acquaintances. We felt privileged to have him paint a couple of individualized projects for us. One time, Dwight got hold a two jet fuel pods that were once mounted beneath jet planes. We hung one of these on our ceiling in Dwight's boat room, where water piped inside was meant to absorb heat from the wood stove before funneling into the main plumbing system. (Since our water comes out of the well about 40 degrees, we figured a little extra heat would be welcome.) A jet fuel pod hanging from a ceiling didn't seem very appropriate, so we turned it into a shark and Bill painted a wonderful grin and eyes on the snout. The "shark" no longer has water in it (it leaked), but that fish will hang there as long as we are around. Bill also painted the fierce sharp eyes on Dwight's Chinese Junk for us. No enemy was going to approach us without being seen! Eventually Bill developed heart troubles. He retired from advertising in the 1980's and became a professional watercolorist. His paintings showed both in Denver and in Taos. He and Jean sold their lovely home on top of the mountain to Jim and Margie Baer and they bought a home at the edge of Chesseman Park in Denver. Bill's last political venture was to oppose building DIA, arguing that Stapleton could be extended instead onto Rocky Mountain Arsenal for a lot less money. This effort failed, of course, as did his attempt to run for Congress. Jean died of cancer in 1990 and eventually Bill remarried. So many people, who move into or who visit Grand County, think that history begins with their own entry. They don't know anything about who went before them, nor do they care. Bill Chenoweth not only served the residents of the state faithfully for many years, but he actually made a very real and beneficial contribution to the people of Grand County, helping to determine what the county has to offer visitors today. In 1900, while visiting in Washington, D.C., Chauncey Thomas, a nephew of William and Elizabeth Byers, wrote ‘Snow Story, or Why the Hot Sulphur Mail was Late’. When the great British author, Rudyard Kipling, read the piece, he pronounced it the ‘best short story by an American’. The opening paragraph of the ‘Snow Story’ reads as follows: ‘Berthoud Pass is a mighty pass. It is the crest of a solid wave of granite two miles high, just at timberline. Berthoud is a vertebra in the backbone of the continent. It is the gigantic aerial gateway to Middle Park, Colorado - - a park one-fifth as large as all England. The mail for this empire is carried by one man, my friend Mason.’ The story goes on to describe Mason’s winter trip over Berthoud Pass into Middle Park where he encountered extreme winter blizzard conditions, an avalanche and Salarado. Chauncey Thomas, a native son of Colorado Pioneers, was born in Denver in 1872 and died there in 1941. At the age of three, Chauncey suffered his first loss. ‘The light went out of my left eye forever. A pair of scissors did it’, he said. At age nine he received his first weapon, a .22 caliber revolver, and promptly shot himself in the foot. No matter. Forever after, firearms fascinated him. He attended Gilpin and East Denver High School where he was a military cadet, but except for military drill and mathematics, school interested him very little. After graduation and college attendance at Golden, Colorado and Lake Forest, Illinois, he found his way to New York City. Here, he worked as an editor for well-known magazines - McClure’s, Muncey Publications, and Outdoor Life (among others) and hobnobbed with the likes of Ida B. Tarbell, S. S. McClure, Jack London and Frederic Remington. He returned to his home town and occupied himself more and more with Denver’s historic past. On the night of September 23, 1941, in his garret room at 1340 Grant Street, he took up a scrap of paper and wrote: ‘stroke--agony’.The next morning a neighbor found him, pistol in hand, dead. 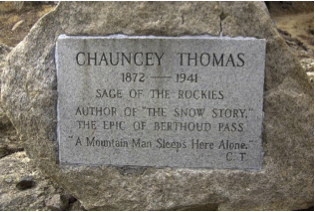 Two years later, at Berthoud Pass on a mountain that bore his name, Chauncey Thomas was honored. Dr. LeRoy Hafen the Colorado State Historical Society’s historian and the Colorado Historical Society dedicated a monument to him on which was inscribed, Chauncey Thomas: Sage of the Rockies. "The Grand Lake Woman's Club is glad to announce that its free public library is now open to the public at the home of Mrs. Goldie Hawkins. Books may be exchanged every Thursday from 10 am to 5 pm. There are over 300 volumes of fiction and non-fiction for both adults and children. The Club is grateful to many of our citizens as well as to summer residents who have donated these books. It is by means of their generosity that our library is made possible at this time. Lumber for the shelves was donated by Henry Schnoor, and Preston Hawkins built the shelves without charge." Mary L. Cairns, Chairman Library Board. The Juniper Women's Club, a junior club of the Grand Lake Women's Club first opened a library in January 1945. It started in a small room in the Community house used for town council meetings. The library was allowed to use the room rent free; however, the library was soon bursting out at the seams and unable to take book donations due to lack of space. When the town council and the firemen decided to build an addition on the firehouse in the winter of 1947, the Juniper Club sought and received permission to have an upstairs room of 16 ft. by 18 ft. for the library. There was a condition; the room was to be finished by the club. A contract was let for the complete finishing of the room with built in shelves on the east and west walls and a sub floor. A wiring contract was also let. To earn the money for the payment the club had bingo, potluck suppers, card parties and food in a basket. Our main project has been and will be our public library. We have approximately 2000 books which are mostly fiction. The first year fifty new books were purchased for $134. There were approximately 200 library cards purchased by our patrons. In May a benefit card party was held and $34 was cleared for the library. Two baskets of food were sent from member to member and $26.25 was raised this way. In July a silver teas was given at the library room. A lovely program of music, pictures of Hawaii, etc. was given. $50.75 was cleared from this tea for the library. During August the club women sold chances on a service for six, sterling silverware set. 330 chances were sold earning $229.73 for the running of the library. New Year's Eve, a dance was given and $29.83 was cleared for the library project. In addition to the 50 books purchased, an oil stove was purchased, curtains were made and the floors were refinished for the library by club members. "The library boasts 1650 volumes, most of them good recent books, and it is open two afternoons a week in winter but three in summer with Mrs. Agnes Gingery as librarian. This year's project for the Juniper Club under the direction of Mrs. Grace Eslick, president, will be the landscaping of the area within the circle drive around the fire house in the Community House block. Last Sunday the first of a series of square dances was held at the Southway Lodge, with a good crowd attending. These dances are put on by the Juniper club and will be for the benefit of the Grand Lake library. They will be held every Sunday night and refreshments are served free. If you do not know how to square dance and would like to learn, we will be glad to teach you. The square dances at Southway's on Sunday evenings are proving very popular as well as lucrative for the library fund." During the Christmas holidays the new floor was laid and new shelves were built. Materials and labor cost $150 of the club's square dance money. The club spent $650 on the library room. 116 books were added, 75 by donation and 41 were purchased. The Juniper Club then started a beautification program in the area of the town square and around the fire house and library. The Juniper Library at Grand Lake became a branch of the Grand County Library System in 1988. In May of 1995 the Juniper Library moved from the Fire Station a location just off the town square. With increased library use and development of computer information systems the need for a larger space was recognized and a new library was built adjacent to the Town Hall and dedicated in June of 2006.
train track has an almost endless series of wreck stories and legends. In one, a "green clerk" was said to have piled all the mail order catalogs on the same side of a car, causing the train to leave the tracks and roll down the mountainside into Yankee Doodle Lake. In another lost train story, the No. 3 westbound was seven hours late out of Denver because of a severe winter blizzard. It crept out of the Fraser Canyon and whistled for the Granby Crossing. The engineer parked the train intending to wait till daylight to continue on. In the meantime, the No. 2 eastbound, 2 days late out of Craig reached Corona without passing the No. 3. In the morning, all were amazed to find the train parked "plumb center" of Granby's main street. Later investigation showed that the No. 3 train left the train tracks just east of Granby and traveled almost a mile over frozen highway. The next day a Chinook wind came up and melted the frozen soil, sinking the train to it's axles in mud. It required the building of 1500 feet of special track to salvage the train. However, some longtime Granby residents say the locale of this incident was the Kremmling flats.